Eric is the Founder, President and CEO of Vision Wealth Strategies LLC, a privately held independent insurance and financial services firm based in Westborough, MA. His 16 plus years of experience have led him to develop a company focused on a unique team approach of proactively servicing clients most basic and sophisticated financial needs. Eric’s vision has led to a purpose of helping people protect, accumulate, enjoy and distribute their wealth. 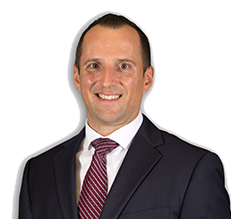 Eric has strategically aligned the firm with some of the strongest professional resources in the financial service industry in an effort to provide the firm’s clients with access to a robust team and services. A few of his accomplishments and associations include: Lifetime member of the Million Dollar Round Table3, 2015 Court of the Table qualifier, 2015 qualifier of the New York Life Chairman’s Council, Lifetime member of CLTC, National Association of Insurance and Financial Advisors, Worcester Business and Estate Planning Council. Eric and his team focus their efforts on proactive wealth planning1 with an emphasis on retirement planning, estate/distribution planning, risk management, asset/portfolio management1, business succession planning and employee/executive benefits. Beyond Eric’s passion of building his company, he strives to live a balanced life with focus on family/friends, his relationship, health and giving back to the community. The values that reflect his personality are that of trust, compassion and integrity. He resides in Arlington, MA and actively participates in the sport of CrossFit. He enjoys playing soccer and golf and continues to challenge himself by entering competitions and competing in races such as the Boston Marathon. John's background brings a different dimension to our organization. 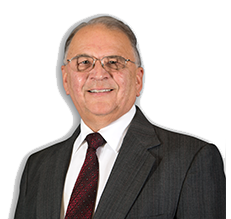 His family lifestyle, business knowledge, financial understanding, tax background and life experience gives him a broad perspective when helping to serve our clients. John has six children and understands many of the financial issues of raising a family and the cost of higher education. In 1971 he graduated from WPI with a mechanical engineering degree. He did his military service in the 1970's and attained the rank of Captain. For 25 years he worked at UPS. His involvement heading up multiple departments and participating in special projects helped UPS to grow from a six state start-up operation to a multinational corporation. John has also been a business owner. He has owned and operated two Country Inns which included restaurants. He has firsthand experience with the challenges of running, staffing, managing and the regulatory burden of a small business. 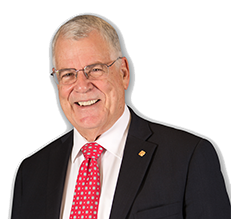 John has acted as a business consultant for a fortune 100 company. In 2007 he joined Vision Wealth Strategies LLC and holds the position of COO in our firm. He brings his real world experience to our financial client relationships and enhances our organization with his management skills. Sandy brings a wealth of knowledge to Vision Wealth Strategies and to its clients. Prior to joining the Vision Wealth Strategies team Sandy worked as an entrepreneur in commercial real estate. He led the development of over 10,500,000 s.f. of office buildings in cities across the USA. Sandy also oversaw $9 billion in office and industrial investments as chief asset manager for a major insurance company. During the Telecom bubble he advised four of the most successful fledglings to stardom with his real estate savvy by connecting his past clients with his new business partners. We are also proud to know him as a Vietnam Veteran. As a Navy Lieutenant, he served his country as a Special Forces combatant who led top secret missions throughout SE Asia during the 1960’s. He continues to serve as a volunteer VA executive committee member and is dedicated to counseling returning PTSD combatants back to a “foreign” civilian world and to bring hope to our homeless vets in Boston. Sandy considers himself to have been blessed with richly diverse academic foundation, capped by an MBA from Harvard University. Today, his learning for life continues during his quest to help and serve others as a team player at Vision Wealth Strategies. Cheri is the Director of Operations and Client Services at Vision Wealth Strategies. She helps ensure that the day-to-day tasks are run smoothly. Her responsibilities include handling all the client’s plans, both internally and externally. She works with our entire team to help ensure we are providing our clients with the highest level of service and communication. In addition, Cheri provides dynamic cross-functional support with our resources and helps ensure that compliance procedures are being implemented. Her assets consist of being exceptionally detailed, organized, and has strong interpersonal and administrative skills. She is both detail and goal oriented; always seeking opportunity to make positive change. She is also able to manage multiple secretarial projects simultaneously. Cheri is a Notary Public for the state of Massachusetts. She graduated from Colby-Sawyer College in New London, NH. She resides in Framingham, MA. In her free time she enjoys working out at CrossFit, snowboarding and spending time with her family and friends. She also enjoys traveling and has lived in different countries such as China and Australia. Cheri's attention to detail and love for people is a foundation in her effort to provide an exceptional client experience here at Vision Wealth Strategies, LLC. 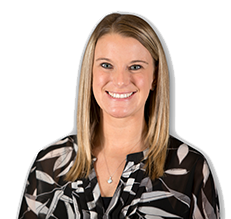 Allison joined Vision Wealth as a Client Service Associate in 2017. 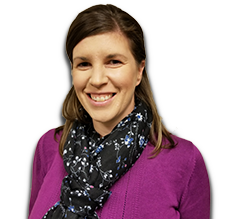 Allison provides high-level administrate support by managing office activities, maintaining our client management system, organizing client confidential files, and performing general clerical functions. She completed her Bachelor of Science degree in 2008 at the University of Elms College. Prior to joining the team, Allison worked for a global service supply chain operation in the Medical and Technology field. She brings a passion for delivering excellent service, engaging with clients, and devoted to building strong relationships to help drive results and meet clients’ goals. Allison and her husband Matthew have a son named Teddy and a dog named Kona. She enjoys spending time with her family, cooking, skiing and playing softball. She is also an avid Boston Sports Fan. Our Team is strategically aligned with experts within many areas of the financial services industry to comprehensively address your insurance, investing1, planning1, legal2, tax2 and other financial needs. Contact us today to start a conversation about your financial needs.